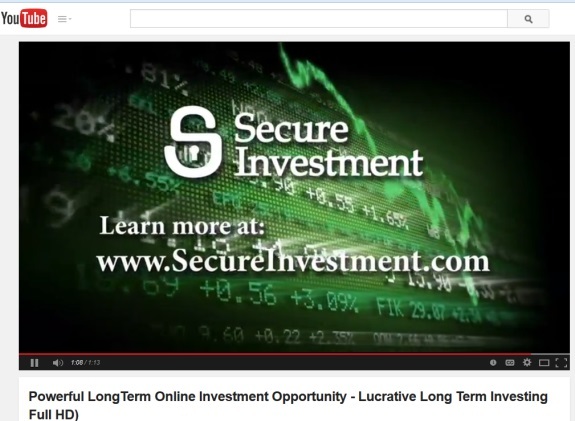 From promo for ‘Secure Investment’ on YouTube. We’re about to provide you a link to a Bloomberg News story on a purported Forex-trading entity known as “Secure Investment.” Get ready: You’re about to read the maximum tale of how a nation’s security and faith in the legitimate marketplace can be undermined by criminals (or worse). The purported SolidTrustPay sender’s email address was from Yahoo, not from the SecureInvestment.com web domain. SolidTrustPay operates from Canada and has been associated with more scams than one has time to count. Congressional investigations over Secure Investment are a virtual certainty. The SEC, just yesterday, announced that yet-another scam trading on social media had plundered investors with a fantastical narrative about “1.5% daily returns for 100 days” and accompanying artifices to pull it off — things such as fake business addresses, fake names, fake domain registrations. That “program” was called “Profits Paradise” and allegedly was operating out of India. “Profits Paradise” also had a presence on the Ponzi boards. In terms of fantastical constructions, Secure Investment crushes Profits Paradise. As things stand, persons or persons unknown have consumed wealth on an epic scale. If I can spot a fraud in 15 minutes sitting at my computer then why aren’t the authorities similarly prompt in attacking such instances? A similar question could be applied to the “victims” of the ASD/Zeek/WCM etc etc frauds. Heh, how hard it is for Bloomberg to give the credit to me. As for trying to find those scammers tracing bank wires. Not gonna work, old russian money laundering networks, all on shell companies registered on russian citizens who had no idea (identity theft). Bloomberg is most clueless when it comes to fraud. they take the scammers side.